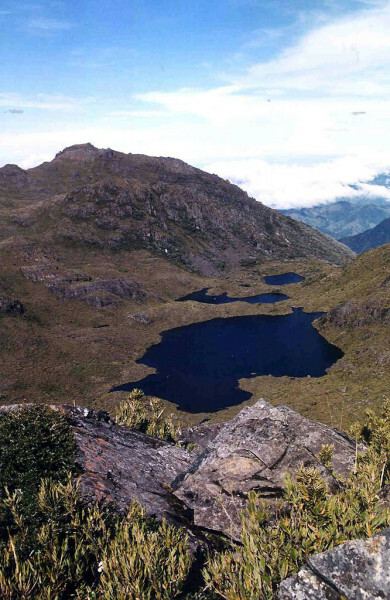 Rainy Páramo – also known as Andean Páramo is sort of the tropical equivalent of tundra and occurs at very high elevations above tree line. The plant life is dominated by shrubs and small herbs on slopes and bogs in low lying areas where water accumulates. Originally the páramo ecosystem was limited to only the highest peaks of the Talamanca mountain range at or near the elevation of Cerro Chirripó – 12,533′ (3,820 m) but as the trees were cut or burned on Cerro de la Muerte and other mountains some of the paramo species took advantage of the new lower artificial tree line to pioneer. 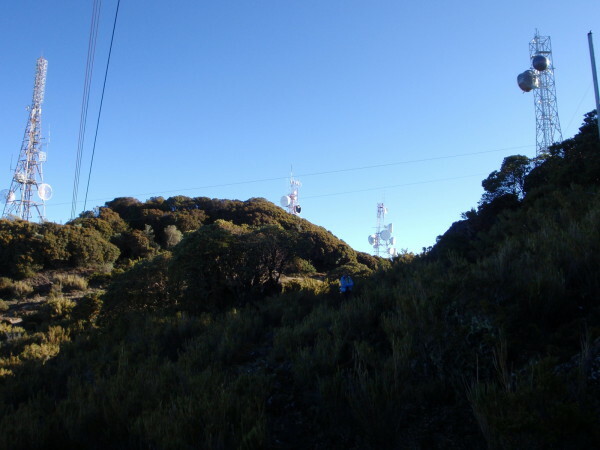 Now a sort of faux páramo dominated by miniature bamboo (Swallenochloa subtessellata) clones can be seen on both sides of the Pan American Highway as you approach the radio, cell phone and tv transmission towers on on Cerro Frio (3471 m) and Cerro Buvis (3491 m). Hiking trails from nearby San Gerardo de Dota give much easier access than climbing the highest peak in Costa Rica at Chirripó national park. Costa Rica is the furthest north that this tropical life zone is found.